Test Drive Unlimited is the only game that immerses you into the car and bike enthusiast lifestyle, with total freedom to race however and wherever you want within a huge, online-persistent environment. Visit the most sophisticated car and bike dealers to purchase new vehicles or simply take them for a spin. Collect and trade rare performance parts and customize each vehicle to make it one-of-a-kind. Test Drive Unlimited challenges players online to experience the most exotic and fastest vehicles on more than 1000 miles of diverse Hawaiian roads. Gamers win races, challenges, missions and tournaments to earn credits and purchase new cars, bikes, rare performance parts, clothes, apparel, homes and garages. Features more than 125 licensed vehicles from exclusive manufacturers including Lamborghini, Ducati, Aston Martin, Mercedes, Saleen, Shelby , and Jaguar; Upgrade each car or bike with options from the actual manufacturers' catalog. 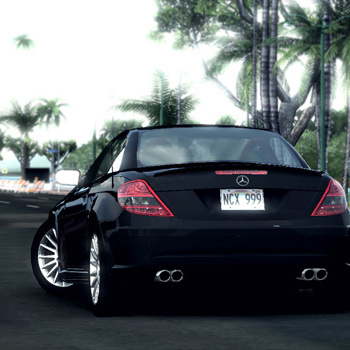 Players create characters, buy new homes and garages, and tune and upgrade vehicles with aftermarket parts; Extracurricular activities such as expanding your garage, getting clothes and fashion accessories for your avatar, helping hitchhikers catch planes, picking up girls, chasing car thieves, and escaping from a psychopath.